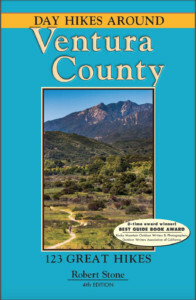 Robert Stone’s Day Hikes Around Ventura County, released on March 1, is a collection of 123 of the county’s best day hikes, providing access to both well-known and out-of-the-way greenspace. These hikes range from the Pacific Coast to the mountainous interior and forests. Highlights include coastal estuaries and tidepools, long beaches backed by bluffs, waterfalls, swimming holes, forested canyons, secluded creek paths, caves, ridge walks, historic sights, filming locations, and rugged outcroppings…from relaxing, scenic strolls to mountain-to-coast hikes with panoramic views. The large number of hikes provides an excellent cross-section of scenery and difficulty levels. Hiking times range from thirty minutes to seven hours. The majority of hikes are one-to-three miles in length. Relevant maps are listed under the statistics to lengthen the hike if inclined. At least one map is included for every hike. The book is well-organized by location and includes a thorough index with entries for points of interest. 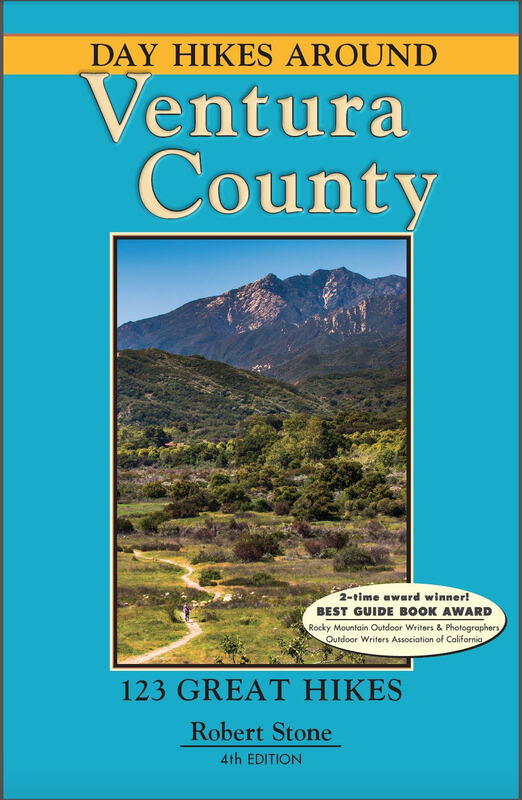 Companion guides include Day Hikes Around Santa Barbara, Day Hikes Around Los Angeles, Day Hikes On the California Central Coast, Day Hikes On the California Southern Coast, and Day Hikes in the Santa Monica Mountains.